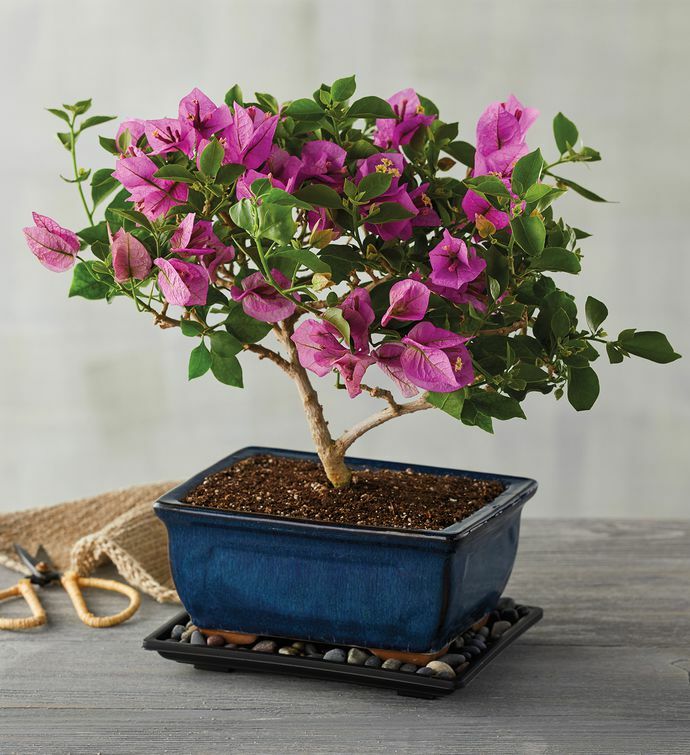 This is the perfect indoor bonsai tree for those who enjoy styling and shaping their plants. The bougainvillea bonsai grows both vertically and horizontally, producing ever more brilliant, purple blossoms as its branches mature. This bonsai prefers bright, direct light and warm surroundings and comes pre-planted in a slate-blue ceramic container.